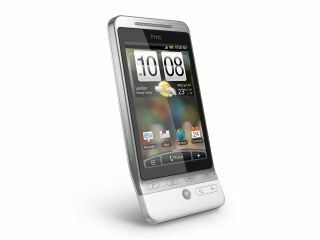 HTC appears to be planning to upgrade the original Hero, which was only released earlier this year, early in 2010. The Hero has won a slew of awards this year, and is considered by TechRadar to be the best iPhone alternative on the market at the moment, with it's intuitive Sense UI. But HTC's Patrik Andersson, head of the mobile division for the company in Sweden, has hinted that the company isn't resting on its laurels, and will release a new version of the Hero at Mobile World Congress. Speaking to Swedish site IDG.se, he says that a new phone will be coming in Barcelona next year, with Q2 seemingly a likely launch date. Beyond that, there's not a lot more information, although Andersson did point out that HTC plans to continue to develop its UI rather than pushing for more megapixels and processor power, as that's what HTC thinks consumers are more interested in. Either way, we're looking forward to a new Hero - we assume a better camera and the latest version of Android, but beyond that we're stumped. What do you think should be included?